Despite my best intentions, I've realized that each week, I throw out at least a couple bags or containers of spoiled food. I don't know about you, but I get an awful feeling watching the once lush bag of cilantro sitting in a murky and slimy green puddle on top of the trash. I know I'm not alone; a recent study found that Americans throw away 50% more food today than they did back in 1974. How awful is that? Not only is 50% more food going to waste, a lot of money is also being tossed away along with the slimy parsley and shriveled carrots. In my apartment, I've estimated that I probably throw out about 10 to 15 dollars worth of unwanted food a week (think freezer-burned leftovers, poorly stored grains, spoiled produce, etc.). In a year, that's enough money for a decadent multi-course dinner at a top NY restaurant or a round-trip ticket to the Caribbean! In professional kitchens, a prep cook is the person responsible for most of the washing, peeling, cutting, and chopping of vegetables and other ingredients. They're also the ones responsible for storing items, covering items properly, and preparing some items ahead of time so they can be quickly used during cooking. Few of us can afford to have our own personal prep cook hanging around the kitchen, but the truth is, it really only takes about 30 extra minutes on grocery day to be your own best helper. Wash, peel, and pre-cut cumbersome fruits like melons and pineapple, and vegetables like broccoli and celery, before putting them away in air-tight bags or containers. I promise you that having them all ready to go will make you more likely to use and eat them in the middle of a busy morning or during the after-work dinner rush. Dice up a couple onions (just a couple...not the whole bag!) and keep them in an air-tight container in the fridge; you'll just have to scoop them out by the spoonful for quick omelets and sautés throughout the week. I’m guilty of buying those overpriced "salad in a bag" things because they are SO convenient and more likely to get used that a whole head of Romaine. But guess what? By washing and tearing salad greens, then storing in large gallon-sized Ziploc bags, you’ve got your own “salad in a bag” at less than half the price. Weekday salads will be as easy as grabbing a handful and tossing with your favorite dressing! Try this trick and I guarantee you’ll be eating more greens while wasting less. Buying tubs of yogurt and cottage cheese, or large jars of applesauce can save you money...but not if they're left to spoil in the back of the fridge. Portion out individual servings of your favorites into 1-cup single-serving containers (I like these reusable ones by Ziploc) and place them front-and-center in the fridge for easy grabbing on your way out the door. Food that lasts only a couple days in the fridge can last months (sometimes even a year!) in the freezer. It might seem incredibly obvious, but I know I’m guilty of letting things expire in the fridge when I could have easily frozen them. Maybe you were planning on making chicken cutlets this week but your boyfriend came home with good news and decided to take you out to celebrate. And the next day things got crazy at the office and you ended up just ordering in? Don't just leave the chicken in the fridge to spoil! Wrap it well in a double layer of plastic wrap and foil, and toss in the freezer until you have the time to use it. Bonus Tip: Date and label the container before you toss it in to avoid “mystery packages” lurking in the depths of the freezer. Mid-century housewives had tight budgets and were no strangers to creativity in the kitchen. 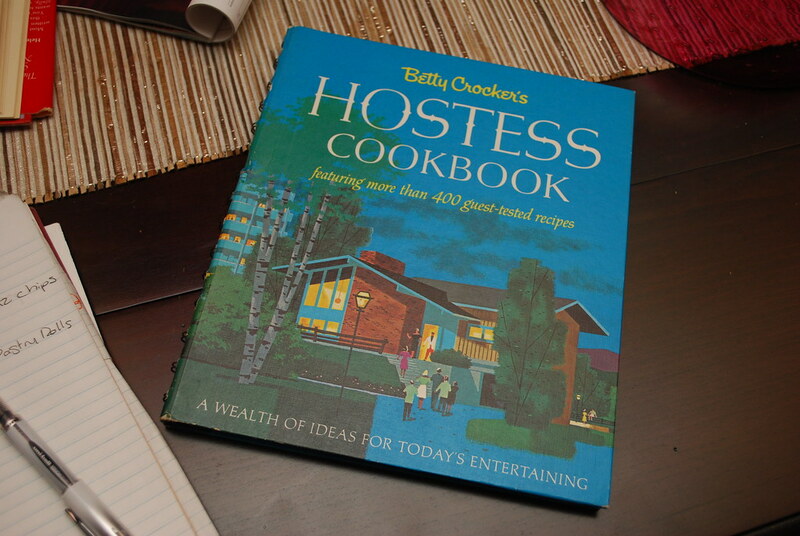 Look up some classic recipes online or in vintage cookbooks, and put those leftovers to work. Leftover Chinese takeout rice or this morning’s oatmeal is great for thickening up a stew. Leftover pasta can be cooked with eggs into a yummy dinnertime frittata. Egg roll wrappers can be stuffed with just about everything (leftover chicken, ground meat, stir-fried vegetables) for a quick and fun meal. Soups can be reduced and become a sauce for pork chops or a filling for quesadillas or wraps. And remember to save all your carrot and celery tops in a freezer bag for a delicious soup base! Bonus: Been meaning to call your mom or grandmother more often? This is a great excuse to give her a call and ask for a few tips. You might even score a few priceless family recipes! Everyone knows overripe bananas can find new life in banana bread, but did you know that you can add extra flavor and fiber to quick breads and muffins with slightly-too ripe peaches, pears, or even mealy apples? Fruit and veggies that are slightly past their prime, can still find new life in sauces, soups, and baked goods. A few less-than-perfect apples would work nicely in this Cinnamon Apple Butter recipe and or this Apple Cake. My Banana Bread Recipe actually calls for an overripe peach. 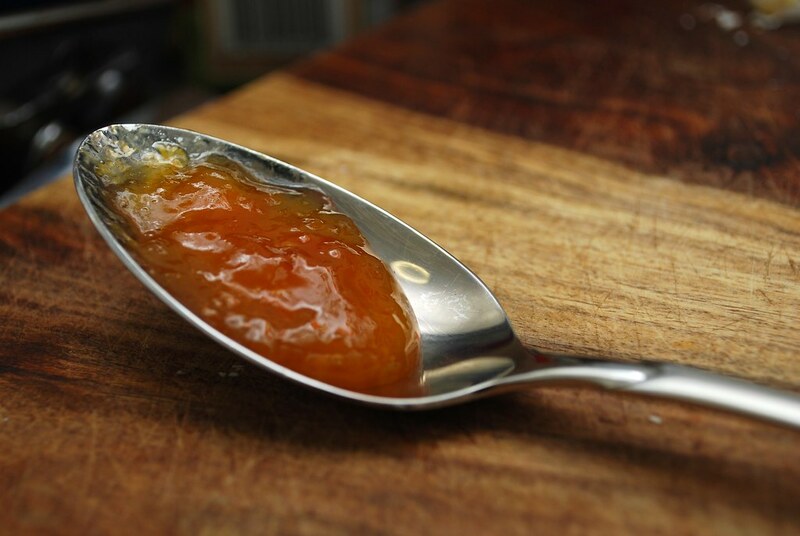 That final tablespoon of apricot jam at the bottom of the jar can be used as a substitute for honey in your tea. The last few spoonfuls of cottage cheese or cream can be added to your salad dressing to make it creamy. Even a single slice of bread can be diced and toasted into croutons. Always think twice before tossing out the tiny bit that's left; it sometimes only takes a little bit of something to spice up an old recipe! Growing up we had a rule that we couldn't tear into the new cereal boxes until the old ones had been completely eaten. It was annoying as anything since all my brother and I wanted to do was eat all the marshmallows in the Lucky Charms, but the truth is that it kept us from throwing out half-full boxes of stale cereal. When putting away items in your pantry, pull out all the opened boxes first and line the new packages all the way in the back. Studies show that we eat what we see, so we'll be more likely to finish up those older boxes before they expire as long as they're stored up front. Food usually comes packaged in boxes and containers that really aren't the best for storage. Flimsy paper flour and sugar bags let in moisture and can easily tear. Cereal and pasta boxes pop open and make everything go stale. And plastic bags of rice and lentils have a tendency to flop over and spill whenever you're at your busiest. I also like to run old jam, spaghetti sauce, and juice jars under hot water or through the dishwasher to thoroughly clean and remove the labels. These can then be reused for storing homemade sauces or preserves, small quantities of liquid leftovers (like fish stock or chicken soup, for example), or to organize beans and grains. 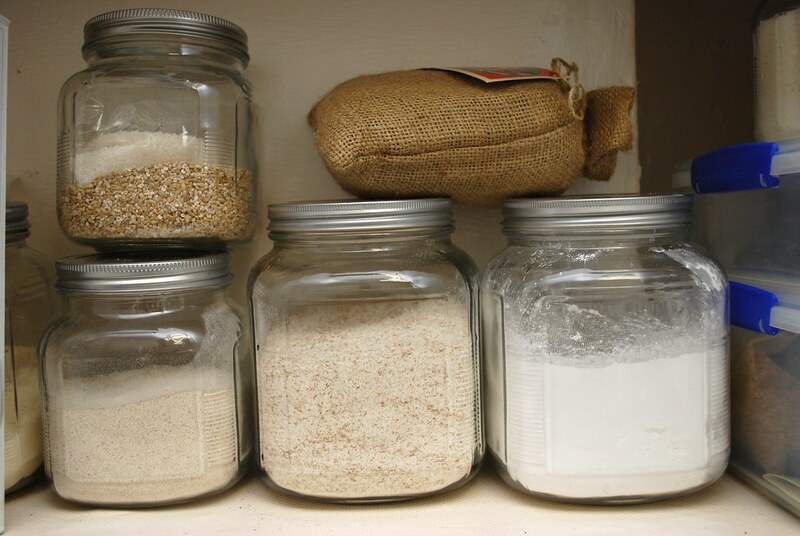 I love opening up my pantry door to see the nicely lined collection of jarred dry goods; makes me feel like I’m running an old fashioned general store! Instead of making a list of the items you've run out of or need to buy, try keeping a list of the items you have stocked in the fridge along with any expiration dates (as noted on the milk or meat packages). 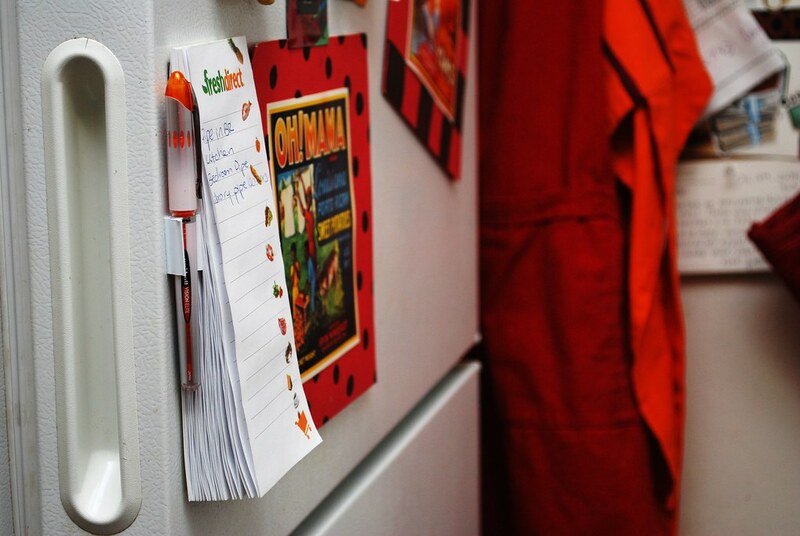 Tape it to the fridge door at eye level and mark off items as you use them (it helps to also attach a pen nearby). Not only will you be creating an instant grocery list, but you’ll never again find yourself dumping out a half-gallon of spoiled milk you forgot to drink or tossing a bag of mushy tomatoes because you forgot you ever bought them. You can also create a list for the freezer to help keep track of the frozen leftovers and meat you toss in there—no more “freezer burned mystery packages” behind the ice cream! Keep a blank pad or dry erase board on the fridge, and every time you find yourself throwing away an unused bag of mushy peppers or a carton of spoiled milk, write it down. At the end of the month, take a look at just how much you wasted and use it to make decisions about your future buying habits. Are you always throwing away most of a gallon of milk? Maybe you should start buying it by the quart. Did you throw out two complete containers of mushrooms last month? Seems like you’re not really mushroom eaters...so stop buying them! Every so often, I climb on top of my counter to check the top shelves of my cupboards. That out of reach shelf is usually where I toss cans and boxes that don’t fit anywhere else, but because they’re so out of reach I usually forget what’s up there. Every now and then (usually BEFORE a grocery trip), take a good look at your pantry and try to figure out ways to make meals using up the food you already have: cans of tuna or sardines, boxes of pasta, soup packets, bouillon cubes, lentils. Pull a few things out and make an inventive meal with what you find. If you can’t think of any ideas, search for specific ingredients on a site like Tastespotting to see what others have made with it, or get yourself a copy of Donna Hay’s book “Off the Shelf.” This gorgeous book has tons of recipes for entrees, appetizers, and even desserts made primarily from pantry staples. This is a really useful and helpful post, Alejandra, and on a topic that isn't much discussed on food blogs. Thank you! Agreed this is a great post. I love those glass jars - I use them for everything. 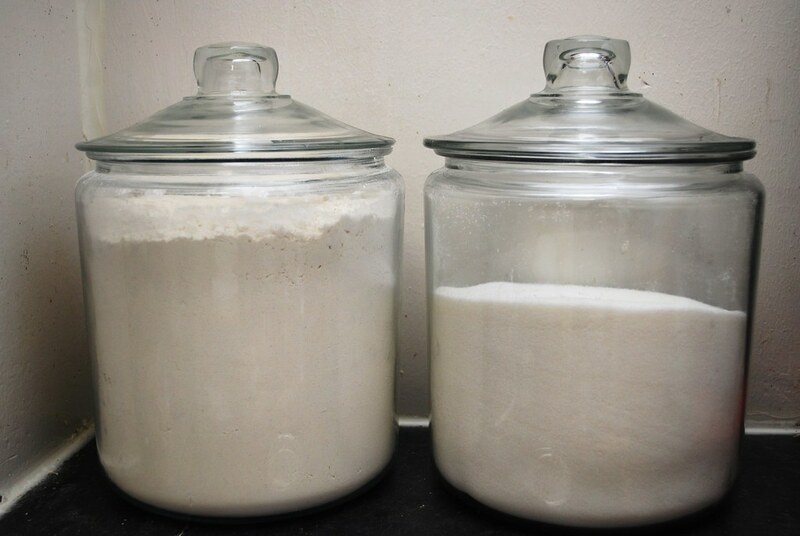 I once heard or read that little bugs can get into flour in the cleanest homes - so everything goes into a glass jar. I feel horribly guilty each time I throw away food, knowing that 99% of the time, I could have avoided the waste. Thanks so much for these great strategies; "Shopping the Pantry" is the one I really need to start with - how often have I bought some interesting foodstuff and squirreled it away for discarding at a later date. If I had a dollar for every time . . .! Great post. I strive to reduce waste as much as possible in our kitchen. The goal is to throw as little away as we can manage. Of course, this leads to dozens of jars of dressing, jellies, and salsas with just a 1/4 teaspoon left to be used in some future concoction. nice tips! i just started becoming my own "prep cook" because i'm so tired of having my lettuce go bad in two days. now i wash and dry it, and store it with some paper towels to soak up extra moisture. I'm just setting up my kitchen, and I seem to throw things away ALL the time :( Great post and for me, perfect timing! Thanks! :) I love the idea of the reverse grocery list! It's so ironic that you posted this today, as it is garbage day for us...I am proud to say that I only tossed 1/2 bunch of flat leaf parsley into this morning's trash, but I felt guilty nonetheless. Yes, there were many options for that parsley, but at 6am I wasn't feeling very creative. :) It did however make #8 on your list completely relevant...how many times will I throw away flat leaf parsley (purchased with nothing but the best of intentions), before I (a)stop buying it, or (b)start growing it (the more likely option)!? 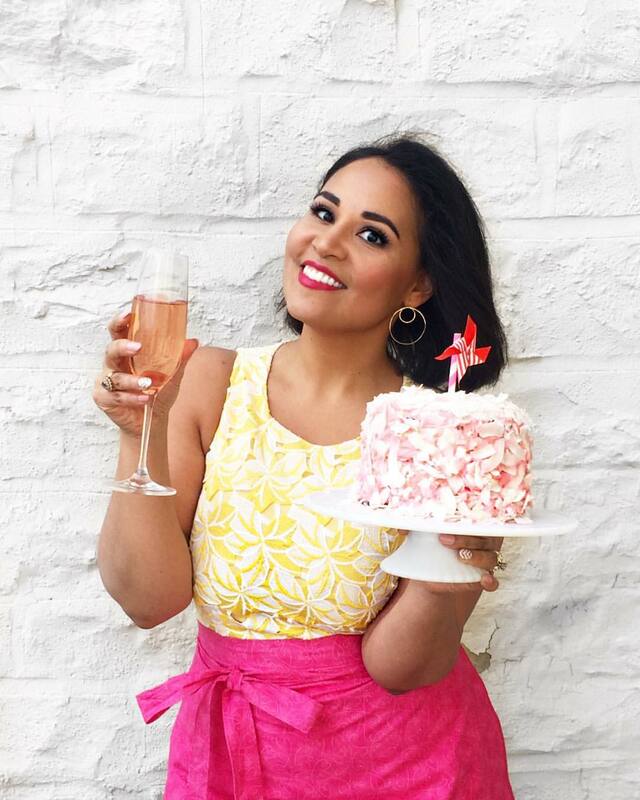 I will be posting a few ideas on my blog, as well as a link to this fabulous post of yours! Thank you for the ideas and inspiration! These are great tips! I need to be better about freezing meals that I just can't eat anymore (2 people cannot normally consume an entire tray of lasagna in a week). I like to freeze my bread for sandwiches, as I never use a whole loaf before it goes bad. You can just pop the whole bag in the freezer and lightly toast before making your sandwich. By the time you eat lunch you won't even notice it was frozen (or toasted). Great tips but most important is to make it a habit, like teeth brushing. One tip for the freezers - label your ziplocs before you fill them. Afterwards they might be greasy, or bulky, and you can't stick a label on it or write on the predefined label. This is a great post! I think I will link to it from my blog! Awesome post! I have been making these kinds of changes too. Towards the end of the week I make "random leftover farmers market vegetable soup," freeze extra batches of cookie and pie dough, and make vanilla sugar with used vanilla bean pods. Thanks for all the great info! Such great ideas, Alejandra! Your tip about a reverse shopping list for the fridge applies even more to a chest freezer. My mom said she found a 20 year old fish at the bottom of her freezer the other day, didn't know it was there. We inventory our chest freezer quarterly, and then keep a check list (with little boxes) next to it so that everytime we take something out of the freezer we check the box. And about once a week we have one of those kitchen sink meals - often a salad, omelet, or pasta - just to use up stuff in the fridge. With a little creativity, you can make the most bizzare food marry. I've also started putting my grocery shopping bags next to the inventory list so I'm forced to look at it as I'm getting ready to shop. Thank you for this! I'm about to start living on my own and I know that these will come in very handy. These are great tips! I've been trying to "shop the pantry" every day since I read Michelle Goodman's "The Anti 9 to 5 Guide." Her advice to would-be freelancers living check to check is to eat everything in the fridge before it liquifies or becomes its own ecosystem. It's a good book to pick up if you want some how-to-freelance tips and go-for-it-grrl cheerleading. What a great list of tips. I especially like the "guilt list.'' I bet it would be eye-opening to keep track of all the things we waste in a year. It would be frightening, too, but all good for us to know. such a fabulous post! Im a college kid that lives alone and spends A LOT of groceries, and then get too busy to use them. thanks for the tips!! I don't know how I haven't discovered your blog before. It's incredible - so honest and beautifully written. I subscribed immediately. My in-laws live in Colombia, and they turn everything into soup to cut back on waste. It's addicting, once I started following their lead I couldn't stop. awesome post. i'm all for the cleaning/prepping veggies and throwing them in airtight bags -- works like a charm for celery, which is a veggie that i like to have on hand but don't use every day. however, i often find myself torn between wasting food and saving money. at my grocery store, a quart of milk is actually more expensive than a gallon! @jaqui: I have the same problem. That I have to buy more (even when I don't have the money) to save money per unit drives me nuts. Of course, it only saves money if I drink/eat/use every last drop/crumb/thing, which is a whole 'nother kind of anxiety that I'd rather do without, thanks. I've started buying smaller quantities and passing up deals so save on fridge space and existential angst. great post! really helpful hints- I am a huge advocate of the pantry shopping. I get so mad at myself when I let things go bad! Hi...I really like your blog it's different..you definitely gonna be in my blog list..thanks for sharing your rich post...coz this problem is not only in USA but also in Egypt. Really like the new banner photo. Nice punch. I just wanted to add this: If you realize you have something you are not going to use, see if you can find someone else who will. Food pantries always need food and will happily take any canned or boxed foods that don't have to be refrigerated. If you have fresh produce that you cannot use up, see if a friend or neighbor could use it. 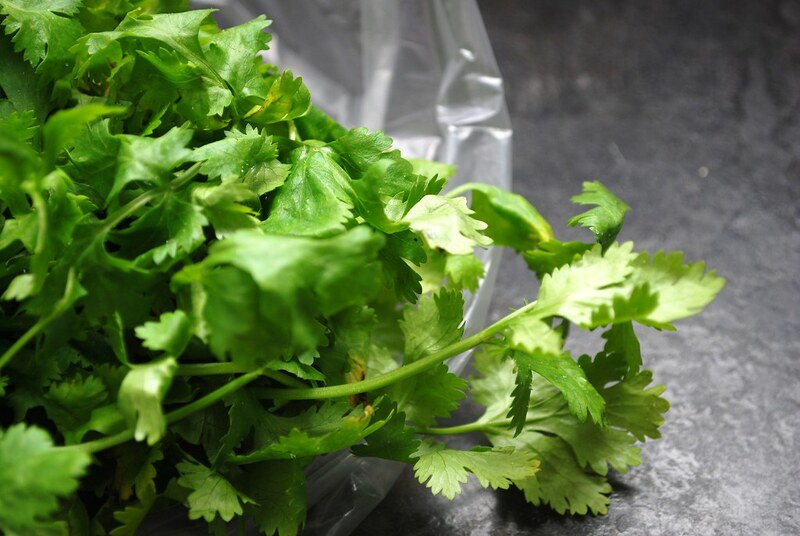 The bags of cilantro/parsley/etc. have too much in them for my family to use up, so giving half to a neighbor would save us some waste. I never use all of my fresh parsley and cilantro so I always wash it and then freeze it so it doesn't get wasted. Fresh herbs can get expensive if you keep throwing them out! I pretty much freeze anything that is going to go to waste, like leftover pumpkin puree or lime juice! 1. If you have a big bunch of herbs you know you won't use, puree them with a itty-bitty-bit of water and freeze them in ice-cube trays. The frozen basil or parsley or cilantro or whatever won't be as good as fresh but you can chuck one into a stew or sauce for a kick when you don't have fresh on hand. 2. Consider composting or giving your peelings and such to someone who does. Many cities will even give you a composter or offer them at reduced cost. I've found composting actually makes me more mindful of my waste-- it doesn't just disappear with the weekday garbage, I can always see what doesn't get used. I've been planning my dinners to a T, and have the leftovers for lunch. With a preset grocery list, I haven't had to throw out more than a few half-used bunches of parsley (I keep forgetting to freeze them, but thanks for the reminder Natty!). But I've been really happy with having one grocery store trip a week, and knowing what's for dinner when I get home. This is a fantastic list! I especially like the reverse grocery list. Another good way to use up veggies that are past their peak is by making your own stock. I keep a zip-lock in my freezer and toss in veg that are starting to wilt as well as peelings and cuttings. When I'm ready to make my soup stock, all I have to do is toss in the contents of my zip-lock and boil away. These were some truly helpful tips and I've used several of them! But I've found the very best solution for me is menu planning and creating my shopping list from that menu. That way I don't buy anything I won't need for the week and I can also plan a second meal around a partial package of something I know I'm going to have left over from an earlier meal. Since I've gone to this system, I haven't thrown away anything more than the occasional last little bit of fresh parsley or cilantro. What a great blog, never seen it before! I LOVE the glass jars with the flours in them. Would you tell me where you got those? Thank you! THANK YOU for this post!! I know I've been feeling really guilty when the foods I buy at the beginning of the week with great intentions go to waste by the end of the week.. now I have some ideas of what I can do to prevent that/utilize them better! Don't forget that you can buy the larger size of something like milk, then freeze part of it. When I was single, I used to portion out milk into 1/2 pint or pint canning jars, then label and freeze all but one. And I save vegetable trimmings in a bag in the freezer for vegetable stock. When the bag is full, put the veggies in a pot with some water and boil for a bit. Then I strain it and freeze it in canning jars. 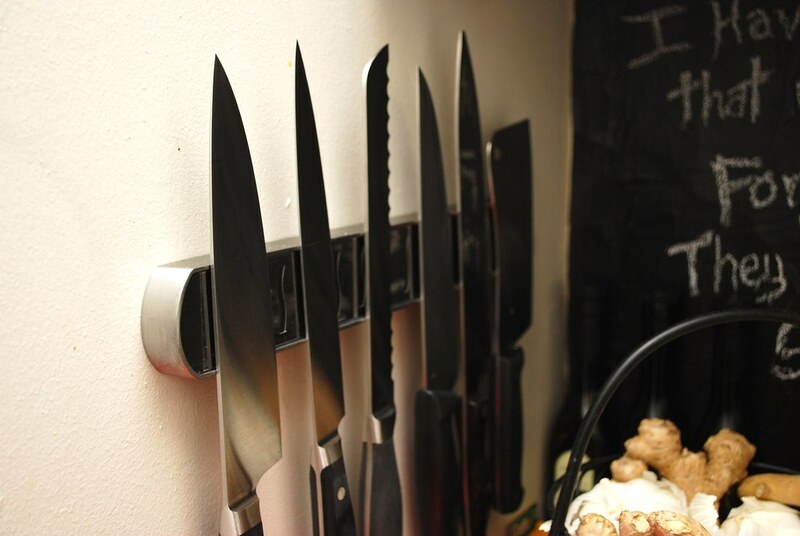 I'm pretty sure I learned about this method on apartment therapy, so you can look there for more complete instructions. Great post! I want those jars. I have started putting my greens into tupperwares (spinach, not cilantro). They seem to keep a lot longer this way. You can also just buy the clamshell instead of the bag at the store. Herbs will last longer if they are stored with a papertowel or something else in their bag to absorb the moisture. I give all our stale bread and overly-ripe produce to a friend who has a small farm with chickens, goats and sheep. If I won't see him soon, I put them in a grocery bag in the freezer so they don't rot further. These could also be fed to ducks in the park. I've been looking for jars like these. where did you get them? I'm not too good at organizing my kitchen and pantry in a way that uses everything up on time. I am trying to do better this year, so your ideas are timely. I have seen an idea on "Everyday Food," a cooking show that airs on PBS here. They bought one bagful of groceries at the beginning of the week and used it to make dinners for an entire week. So that would at least take care of dinner!